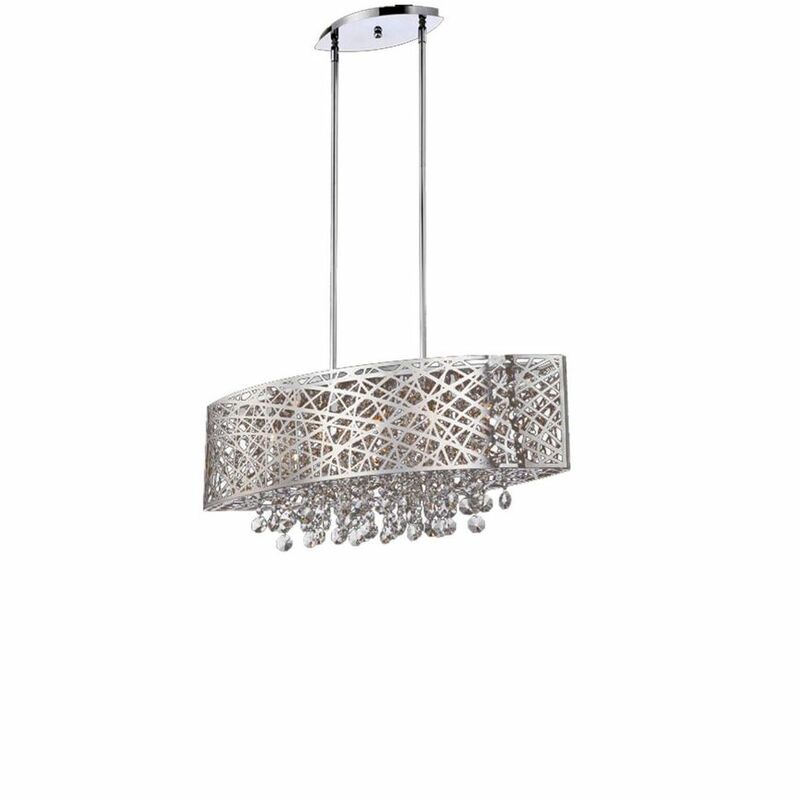 The BENEDETTA ceiling light adds a pop of contemporary glamour to any room. This canoe shaped lamp features laser cut chrome that gives visual moment, while the classic chandelier-influenced crystals come through, creating a modern classic. The cutouts allow light to carry throughout the space while the linear shape makes BENEDETTA a perfect companion to longer tables and bars.